We already know that the sky is master to create the different shape. At once in our whole life, we have seen different shapes in the sky. The Shape appears in this photo looks like an elephant trunk who try to catch The Sun into its truck. This photo took at the time of the evening when we were coming back to home from a job. In my whole life, I’ve seen too many good shapes in the sky but I didn’t capture those shapes or natural beauties. If I had a camera at that time, I would have taken those photos in the camera. 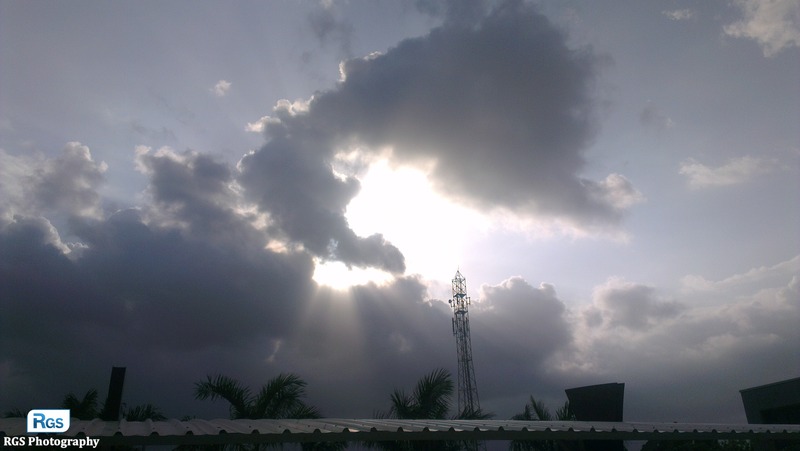 I captured this photo of “The Shape in the sky” at the evening at Hadala, Rajkot, Gujarat, India (Incredible India!). This Photo is taken using HTC One X. Photo taken at: Hadala, Rajkot, Gujarat, India.